Editor's note: This piece has been updated to reflect the change in venue from the Apollo Theater to Riverside Church, located at 490 Riverside Drive in Harlem. On March 27 TED, a global collection of conferences, and its program TEDx, which lets organizations and groups independently organize their own TED events, is headed to Riverside Church in New York City to discuss a wealth of topics important to the African-American community and beyond. TEDxHarlem's themes range from health and wellness to civic involvement. And the list of speakers includes a bevy of influential professional and advocates, including UNESCO Goodwill Ambassador Ivonne A-Baki and chef Marcus Samuelsson. TEDxHarlem hosts include green-economy visionary Majora Carter and Epiphany founder Coltrane Curtis. 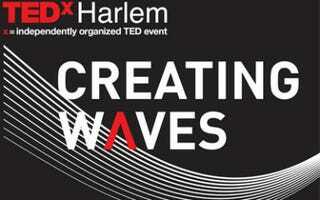 TEDxHarlem will run from 8 a.m. to 5 p.m. on Tuesday, March 27. Additional information on the conference, and tickets to TEDxHarlem events, can be purchased on the TEDxHarlem website. Location: Riverside Church, 490 Riverside Drive, New York, NY 10027. Dates and time: March 27 from 8 a.m. to 5 p.m. Previous recommendation: Public Schools Constrain Blacks, Author Says.